A recent American Council On Exercise (ACE) Survey, quoted by Club Industry Magazine turned up the conclusion that trainers need to be more aware of the potential offered by wearable technology. This refers to the wristband devices such as FitBit that record all your activity throughout the day, from your sleep patterns, to heart rate and calorie expenditure. Well, my natural reaction to that was “don’t we all?” However, the point here was that the spread of wearables is making consumers curious about the potential in the data. According to the survey, they appear to be receptive to tech savvy trainers providing greater value with the data these devices collect. The potential for wearable tech lies in the shear volume of data that you can create about a person’s daily life and routine. Since it’s the little things we do on a daily basis that determine how fit we are, it gives the clued-in fitness trainer a powerful tool for insight. So make it a chance to be the expert and be more valuable to your membership. If trainers can collect data and learn how to analyze it, it gives them a natural angle to sell more services to members and to improve your gym’s retention rate. Do Wearables Mean The End Of The Personal Trainer? I predict that fitness trainers are going to be around for a long time to come. Disruptive as wearable tech may be it is going to be more of a help to the profession that not. The difference will lie in separating the trainers who adapt and adopt the new technologies and those that don’t pay attention. It probably is not fair that data is going to be so powerful in this business. More than a few trainers I know don’t really want to face the challenges of change. If you go into fitness you are most likely a sociable person and a team player, your attitude toward tech is probably a result of what ever was your experience with it in the past and the emotional associations that came from it. Based on the results of the ACE survey I would venture to guess that it is vital as a career move that trainers get past any hesitation that they may have. It is up to you to be the boss and lead your entire team to proficiency. When a business faces an adaptive challenge such as this it always helps if you, as the leader, clearly express the need in your own words. Staff and trainers are wrapped up in their own lives and they may not see the big picture like you do. It is up to you to explicitly point out what you see going on and what direction you want the business to take. Once the direction is clear to everyone you could appoint your most enthusiastic early adopter as a wearables lead trainer. They would act as a trainer’s trainer, to spread the word and help learn how to gather and analyze information about the lives of clients. Sleep is one of the determining factors in performance. Having data on exactly how much sleep a member gets will help trainers to define a more realistic and effective workout. This may seem a little bit of a privacy issue. When you use such information you do have a responsibility to you members to keep data safe but the potential to take training to the next level is phenomenal. There is always this question of technology replacing humans. In its most extreme form the fear is about the rise of robot overlords. I don’t think that’s going to happen, at least not soon. Computers and software applications are good at some things and not others. They handle huge volumes of data but cannot determine any abstract meanings. In the best use of tech it seems that it is employed in ways that compliment the user’s abilities. One of the concerns for anyone trying to learn about wearable tech is that the leading edge is moving so fast that it is hard to keep up. It is also hard to predict what will catch on. Still, trainers do need to be up to date on such things, as much as possible. But this refers back to a big picture where trainers need to be pursuing constant and never ending improvement, to attain a consistent competitive edge in the fitness market. Training members with data from their wearable tech is one way to hold on to the edge. Fagan, Lawrence. Tackling Membership Retention. https://blog.gyminsight.com/2875-tackling-membership-retention/. Gleeson, Brent. 5 Steps For Leading Through Adaptive Change. August 10, 2014. http://www.forbes.com/sites/brentgleeson/2014/08/10/5-steps-for-leading-through-adaptive-change/ (accessed September 23, 2015). Hawman, Andrea. Humans and Computers Should Complement, Not Compete. March 9, 2013. http://thesoftwaresociety.com/humans-and-computers-should-complement-not-compete/ (accessed September 23, 2015). Rubin, Courtney. Your Trainer Saw That. April 16, 2014. http://www.nytimes.com/2014/04/17/fashion/devices-like-fitbit-and-up24-being-used-by-gyms-to-track-clients-fitness-activity.html?_r=1 (accessed September 23, 2015). Stromgren, Eric. 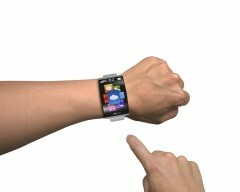 ACE Survey: Trainers Need Better Education on Wearable Technology. September 10, 2015. http://clubindustry.com/manufacturers/ace-survey-trainers-need-better-education-wearable-technology (accessed September 23, 2015).